Chassé was the son of Carel Johan Chassé, a scion of an old Huguenot family, who was a major in the army of the Dutch Republic, and of Maria Johanna Helena Schull. He married Johanna Adriana van Nieuwenhoven on 10 November 1786 and divorced her in 1795. His second marriage was to the English widow Elisabeth Irish on 12 April 1796. They had one son. This marriage also ended in divorce in 1816. Chassé entered the Dutch army as a ten-year-old cadet in his father’s regiment in 1775. He was promoted to second lieutenant in 1781. He resigned his commission in 1786 because of his sympathy for the Patriot party in their opposition to the autocratic regime of stadtholder William V, Prince of Orange. Instead he became a captain in a Patriot Free Corps, defending Muiden and Weesp against the Prussian invaders that restored William to power in 1787. Because of this role in the revolt he had to go into exile in France, as many other Patriots. Another reason for going abroad was that he had killed a man in a duel. In 1788 Chassé received a commission as a first lieutenant in the royal French army. After the revolution of 1789 he took part in the campaigns of the revolutionary French armies as a captain in the Légion franche étrangère (Free foreign legion). He received a wound in the right upper arm in 1794 that would make writing difficult for the rest of his life. As a lieutenant-colonel he conquered the fortress of Zaltbommel shortly before the fall of the Dutch Republic in January 1795. Chassé now entered the service of the Batavian Republic as commander of a regiment of light infantry. He usually performed garrison duties, but was in 1799 part of the Franco-Dutch army that drove the Anglo-Russian expeditionary force from North Holland. In the early 19th century he commanded regiments that took part in the French campaigns in northern Germany that the Batavian army was compelled to join. He was mentioned in dispatches at the siege of Würzburg in 1810. He was promoted to colonel in 1803 and to major-general in 1806 under the Kingdom of Holland. King Louis Bonaparte put him in command of the Dutch brigade (part of the Division-Leval) that his brother Napoleon obliged him to contribute to the French campaign in Spain in 1808. For his exploits in that harsh guerilla war in the battles of Pancorbo (better known by the French as Durango; 1808), Mesas de Ibor (1809), Talavera (1809), Almonacid (1809) and Ocana (1809; where he assumed command of the Division-Leval), King Louis created Chassé baron on 1 July 1810, just one week before Napoleon annexed the Kingdom of Holland to the French Empire. Like many Dutchmen, Chassé resented this annexation, so much so, that he refused to accept the diplome in which Napoleon elevated him to baron de l’Empire on 30 June 1811. Nevertheless, he continued serving in the army that now became part of the imperial French army. He was now made a général de brigade in that French army (a demotion), serving in the army corps of Jean-Baptiste Drouet, Comte d’Erlon in Spain. As such he fought in the Battle of Vitoria and the Battle of Maya, where he saved the French army. For this feat he was made an officer in the Légion d’honneur and nominated by d’Erlon for promotion to lieutenant-general in the imperial army. Napoleon affectionately called him “général baionette” for his fierceness and his predilection for bayonet attacks. In 1814 Chassé was transferred to the Champagne theatre of war where he joined the Division Boyer as commander of its 2nd Brigade. He fought in the battles of Bar-sur-Aube and Arcis-sur-Aube, where he was wounded. He directed the defense of Sens on 3 April 1814. However, after the fall of Paris and Napoleon’s first abdication he had had enough and asked to be released from French service. This was granted with the rank of lieutenant-general on 6 October 1814. He now returned to the Netherlands which had become independent again. The sovereign prince William I of the Netherlands was keen to engage the services of such an experienced general, and had no doubts about his loyalty. Chassé was commissioned as a major-general in the new Mobile Netherlands Army on 22 October 1814. He was made commander of the Third Netherlands Division on 25 March 1815 and promoted to lieutenant-general on 21 April. 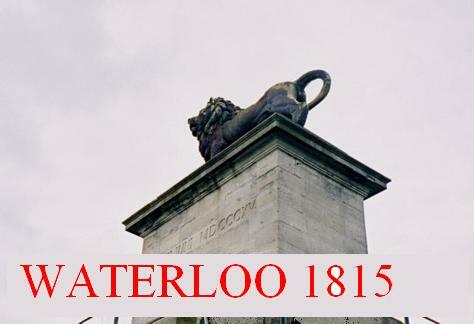 At the battle of Waterloo Chassé’s third division was part of the First Netherlands Corps under the Prince of Orange in the right-center of the Duke of Wellington’s Anglo-Allied army. As Wellington, who had often fought opposite Chassé in Spain, apparently did not quite trust him (there may have been some bad feelings on the part of the British) the third division was placed in reserve behind the right wing. When around 7.30 p.m., in the final part of the battle, Chassé noticed that the fire of the British artillery in front of him slackened. In response he ordered Major Van der Smissen to send the Horse artillery battery ‘Krahmer’ Carel Frederik Krahmer de Bichin into the firing line. Due at this moment Napoleon staged his Imperial Guards to attack the center. In preparation for the second counterattack Chassé ordered the Detmers brigade (part of the division) to take position behind Van der Smissen. His counterattack was to be a bayonet charge, as Chassé had a predilection for this type of manoeuvre (that had earned him the nickname of “général baionette” from Napoleon). The murderous fire of Jacques Van der Smissen, battery of Horse-artillery, and the bayonet attack of the Detmers brigade, against the Imperial Guard, broke the attack of that elite unit, and turned it into a rout. Though this was a turning point in the battle, Chassé was not mentioned in dispatches by Wellington, like so many others. He expressed his annoyance at this in a letter to Lord Hill, shortly after the battle, and received a conciliatory reply, recognizing his contribution. For his part in the battle Chassé was made a knight-commander in the Military William Order on 8 July 1815. After Waterloo Chassé was given several high commands. After the beginning of the Belgian Revolution he replaced Prince Frederick of the Netherlands as commander-in-chief of Dutch forces in Belgium on 17 October 1830. The next day he ordered the retreat to the fortified area around Antwerp. As commander of the citadel of Antwerp he ordered the bombardment of that city after an incident, the exact cause of which is still in dispute, on 27 October 1830. Whatever the provocation, the large loss of civilian life this bombardment caused seems hard to justify. The resentment it caused among Antwerp civilians helped lose Antwerp for the Dutch cause. Nevertheless, the citadel remained in Dutch hands, and Chassé its commander. 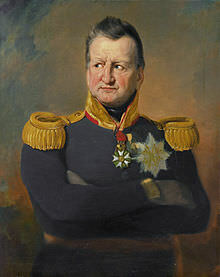 In 1832 (by now a full general) he commanded a garrison of 5,000 Dutch troops that was besieged by a French army under Marshal Gérard ten times that number. Despite this superiority, and the fact that the citadel was bombarded day and night by the French, the garrison held out for twenty-four days, before Chassé was finally forced to surrender. This earned him a knight’s-grand cross in the Military William Order by promotion, and the admiration of the French, who made his imprisonment in Saint-Omer as pleasant as feasible. He was released as a prisoner of war in June 1833 and appointed governor of the fortress of Breda that same month. After the peace with Belgium in 1839 Chassé finally retired. He was at first promised his full salary as a general for life, but this was reduced to the usual pension after government economies in 1841. King William I had appointed him a member for life of the First Chamber of the States-General in 1839 (which supplemented his income for a while), but after life memberships of that Senate were abolished by the constitutional reform of 1848 he lost that income also. He therefore had to sell his beloved horses. Chassé died a few months later, aged 84. He was almost alone at his death, because his only son had predeceased him. His relatives declined a state funeral at his wish. He was laid to rest in Ginneken, now part of Breda, in a very simple burial.